It is a cliché that deterrence is a mind game. Clearly then, information operations that affect the mind of the adversary nuclear decision maker are critical. In peacetime and conflict, they need to be so directed that deterrence is strengthened. In conflict, it is not infeasible that deterrence may break down. However, nuclear first use does not entail abandonment of deterrence. In-conflict deterrence will need support of information operations in order to limit the war gone nuclear. Alongside coping with nuclear use, consequences will add to the targets of information operations that would require being directed also at one’s own military and people. The aim would continue to be deterrence in all phases: peacetime, pre-conflict, conventional operations stage and, even, post-nuclear first use. This article posits an interesting shift in the peacetime, pre- and post-nuclear use phases. However, on conflict outbreak and in its pre-nuclear first use conventional operations phase, there needs to be greater subtlety. Even as the escalation potential is accentuated, the narrative could include the ability, if not the intent, for nuclear response in kind (quid pro quo and quid pro quo plus). 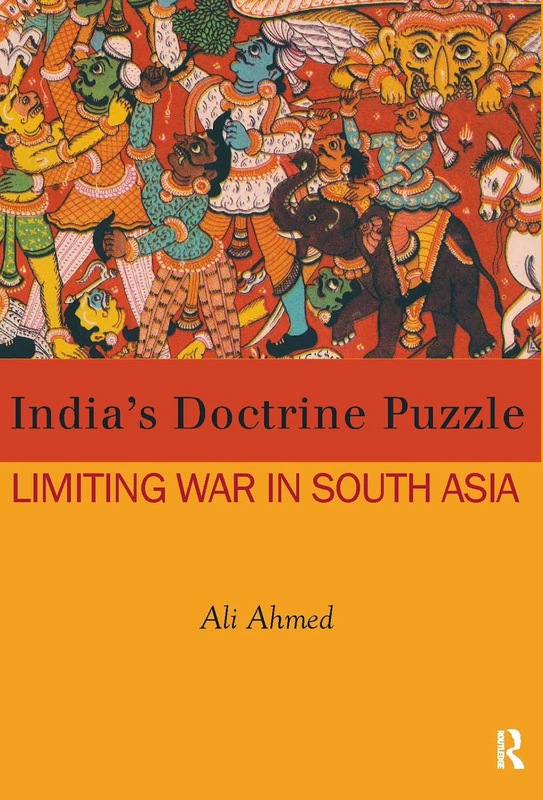 While the latter – escalatory potential - will influence the mind of the civilian part of Pakistan’s NCA, the former – limiting nuclear war possibilities - will play on its uniformed side. Together, they would help stay Pakistan’s nuclear hand, i.e. deter. Building in subtlety is necessary on two counts. The first is to prevent nuclear ‘first use’ (introduction of nuclear weapons into a conflict) in the form of a ‘first strike’ attempt (to take out India’s nuclear retaliatory potential in a higher order strike). Since India follows a No First Use policy, it needs to insure against first strike. While second strike capability is the best manner of doing so and efforts to this end are in hand, information operations serve to supplement. The second, correspondingly, is to deter Pakistan’s lower order first use, as its foreign secretary recently promised. Information operations would need to be subtle here: not only must they help deter TNW use, but also to incentivise TNW in battlefield mode over any other Pakistani nuclear first use option. That all corps and command exercises have a nuclear adjunct suggests this scenario can be coped with. Peacetime information operations have hitherto emphasised this preparedness; thereby sending the message that TNW will not serve any military purpose. In a shift since 2012 when the nuclear dimension found mention in Exercise Sudarshan Chakra, the usual nuclear aspect has been left out of the press briefs in subsequent years such as for Exercise Shoor Veer and Exercise Panchjanya. So has been the case this yearwith Exercise Brahmashira by a strike corps, though ‘full spectrum of operations’, presumably including nuclear, found mention in the brief on Exercise Akraman II of the pivot corps (Baatcheet April 2015, p. 11). The message - perhaps inadvertent - was that India is sanguine that deterrence works and it incentivises Pakistan to keep the battlefield non-nuclear. 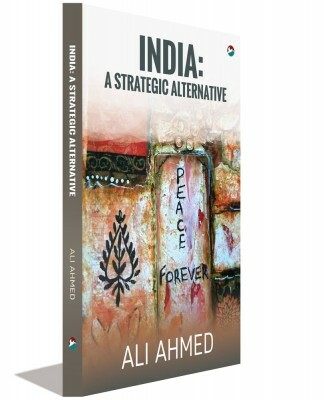 However, more significant is the strategic outcome with silence on the ‘nuclear backdrop’ keeping diplomatic attention away to counter Pakistan’s constant projection of a ‘pink flamingo’ - a predictable but ignored possibility – in South Asia. However, it can be reasonably adduced that Pakistani TNW resort would not be so much to stop a strike corps in its tracks, but as nuclear messaging. From India’s point of view, nuclear first use against its troops anywhere, being least hurtful, would be preferable to such use against any other category of target: military installation, industrial, infrastructure or civilian. To incentivize this - as against the undesirable mode of first use - information operations must flexibly make a switch. From pre-war positing of Armageddon (for Pakistan) for any nuclear first use, they must switch to projecting that India has lower order nuclear retaliatory options. This way, in case of an itchy nuclear finger, Pakistan reaches for the lower order nuclear first use button. Once the ‘nuclear taboo’ – global nuclear non-use norm - has been breached by Pakistan, information operations have an exponential increase in the task at hand. Not only must they keep the Pakistani NCA from escalating by working on its mind, but multiple targets have to be influenced in myriad ways. 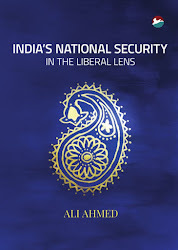 Within Pakistan’s NCA, a debate can be imagined between those wanting a more robust go at India. In light of India’s declaratory nuclear doctrine of 2003 - ‘massive’ nuclear retaliation – there would be a ‘use them or lose them’ dilemma. The saner element - from which the Pakistani military cannot be excluded - may pitch for non-escalatory options. Indian information operations will have to target the NCA in a manner that the latter wins the debate. In this, information operations will play second-fiddle to the nuclear retaliatory strategy in play. Depending on the retaliatory option chosen, information operations will require supplementing the message. It would appear that retaliatory options that leave open the possibility of de-escalation can be better supported by information operations. While diplomacy does its bit, information operations would need working on the international media to underscore legitimacy of India’s war waging options – nuclear and conventional. However, more importantly, these would need to play on the mind of the Pakistani NCA, in particular its civilian element. This can be done indirectly, by pressing Pakistani people to get the leadership off the nuclear ladder, not so much by instilling fear as by conveying India’s benign intent. It would be important to keep this message simple, loud and direct to cut through ‘noise’ and the ‘fog of war’. At this juncture, any blame-game can wait. The multiple targets for information operations in this post nuclear use phase would include India’s military and people. Both would require reassurance. The latter would additionally require informing of emergency and population control measures. Transparency would have to be tempered by the need to ward off panic and disorder that tend to worst affect the most vulnerable. Here the static formations' ‘A’ staff need to be suitably exercised, especially those covering metropolises. The doctrinal effects of the loud thinking here are of import. The open domain doctrine, Indian Army Doctrine (2004), does not carry a section on information operations. Information operations can figure in a separate joint information warfare doctrine, as also as be included as distinct chapters in the service doctrines. Since only the gist of the nuclear doctrine was carried in the 2003 press release on its operationalisation, hopefully the operational doctrine has a more variegated discussion on inter-linkages between information and nuclear operations.